“Art, craft and design education supports the development of important personal qualities including initiative, perseverance, sensibility and self-reliance. 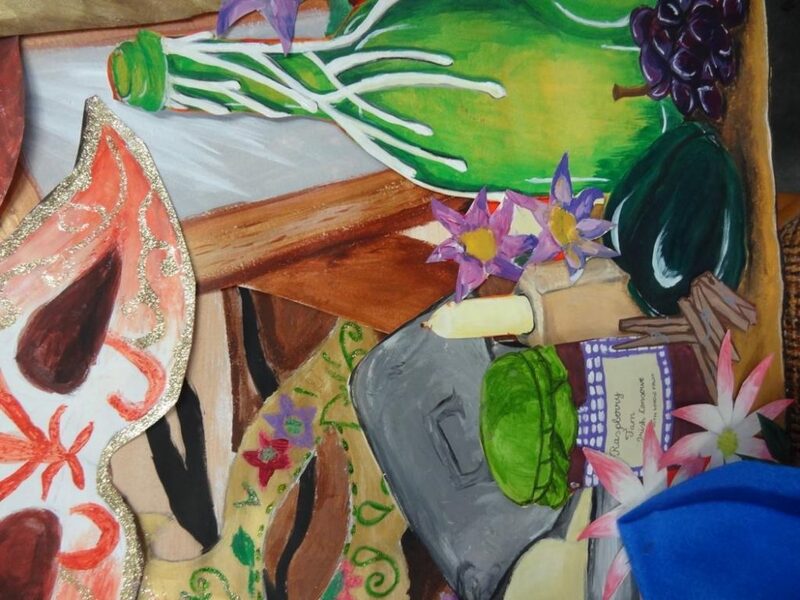 The benefits of an education in art, craft and design extends far beyond a competence in the subject itself, because the experience gained and the skills developed can be enjoyed and applied throughout life, enabling the student to shape his/her world with discernment, and to understand and appreciate the creativity of others.” J Cert Draft Syllabus 2008. 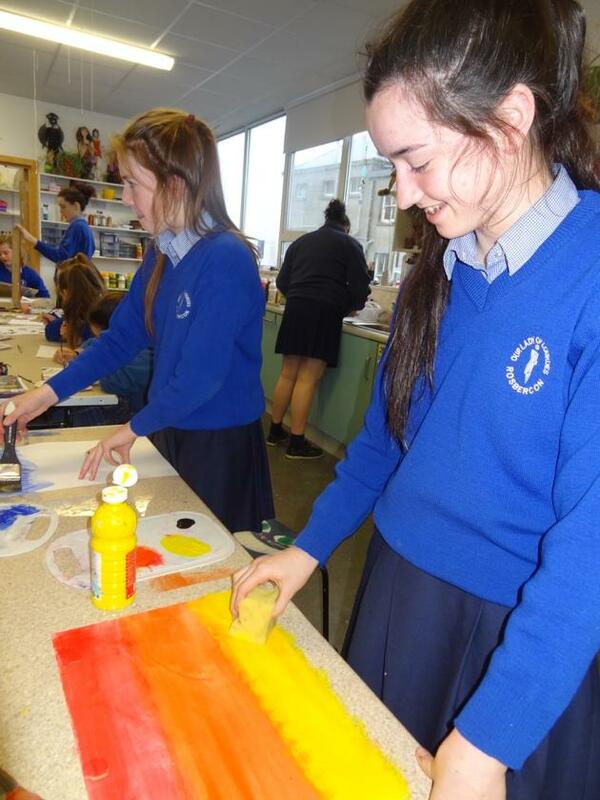 All first year students in Our Lady of Lourdes get the opportunity to study art and then it becomes a subject of choice for both the Junior and Leaving Cert. 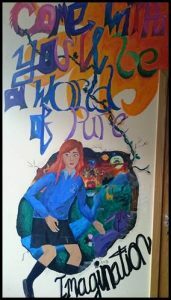 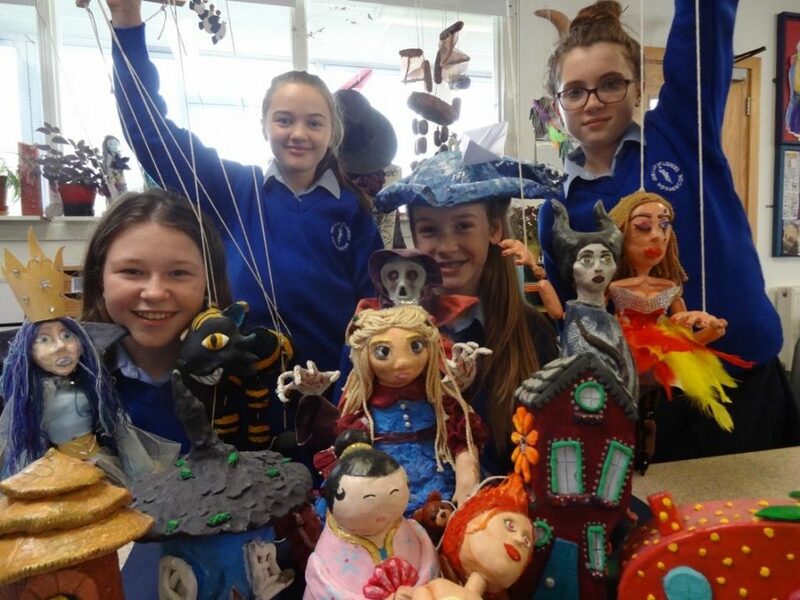 Junior Cert Art develops a broad range of skills in students for example drawing, painting, graphic design, printmaking, puppetry, calligraphy, book craft, sculpture and modelling. 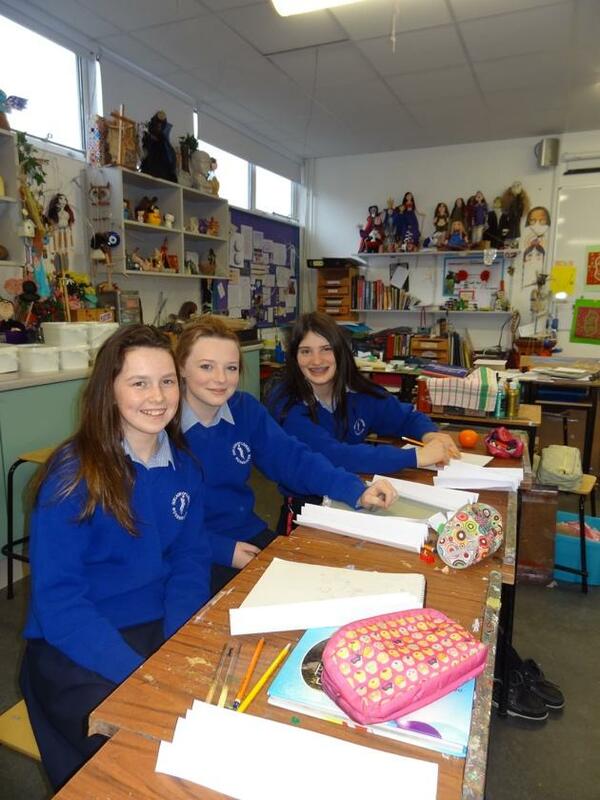 We also hope to include computer graphics and film making as the New Junior Cert is introduced. 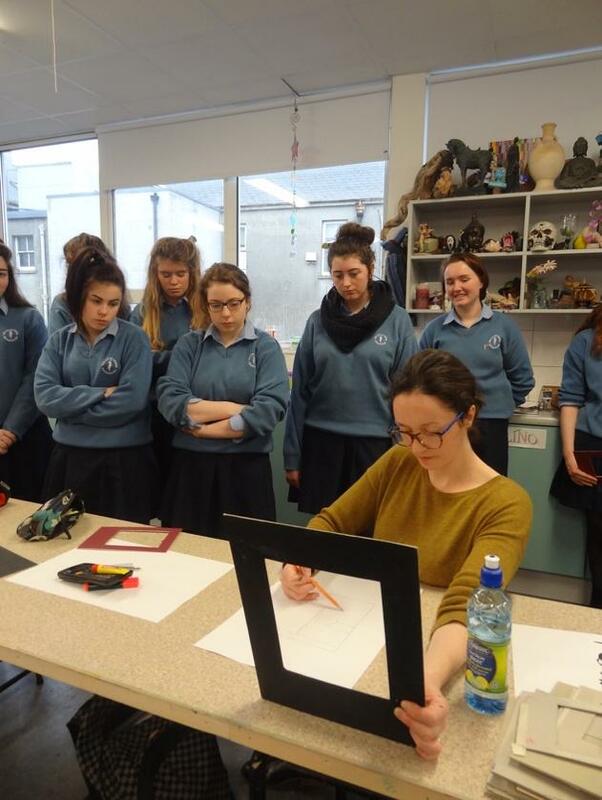 Leaving Cert Art, now a new course offers students the opportunity to further develop their potential in a class based project. 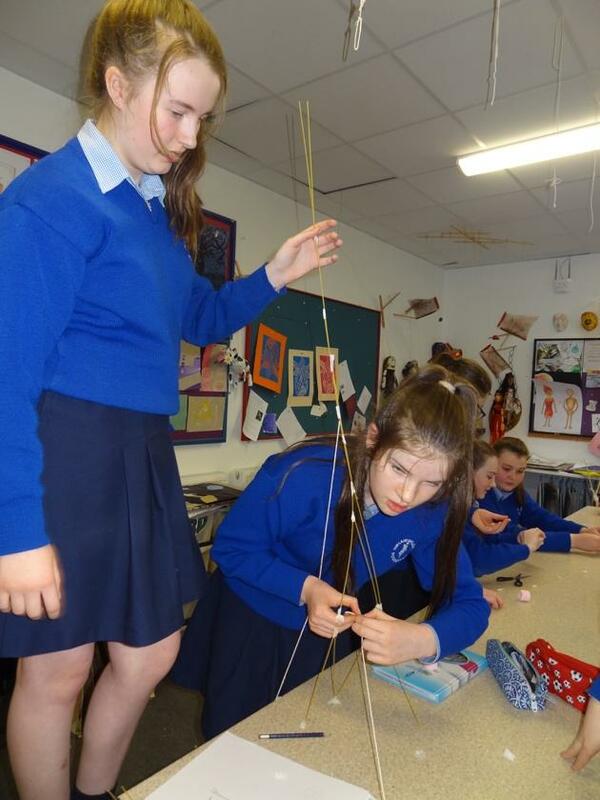 This will provide students with more time to develop ideas and display their best skills. 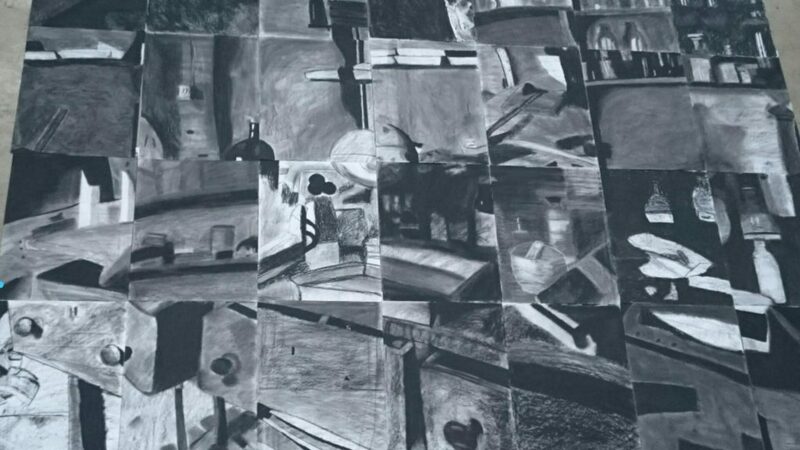 Using a selected theme as a starting point students choose from four interlinked units based on the everyday visual experience of the students own environment. 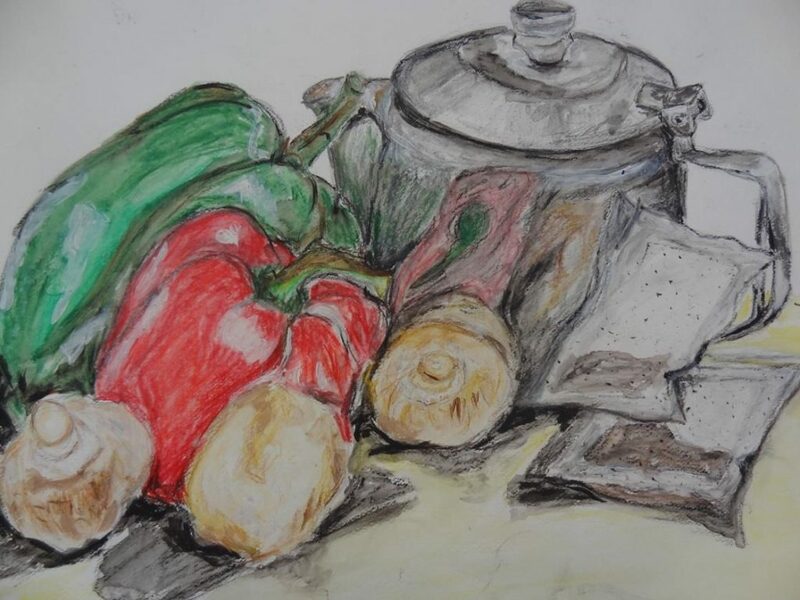 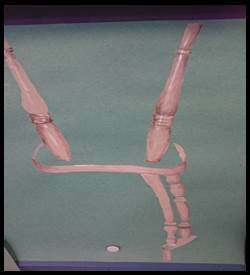 The practical work can include Life Sketching, Still Life, Imaginative Composition, Design and Craftwork. 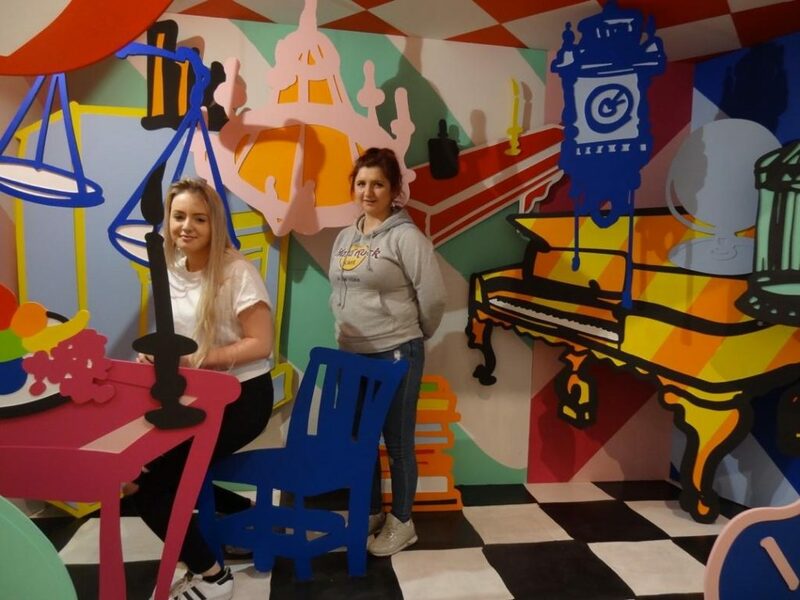 Through the study of Art History students learn to appreciate visual culture, get to experience art in a gallery environment and become aware of our National Collection. 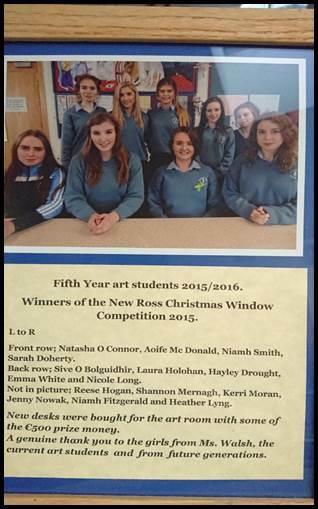 In Our Lady of Lourdes we have a strong tradition of students going on to study art courses. 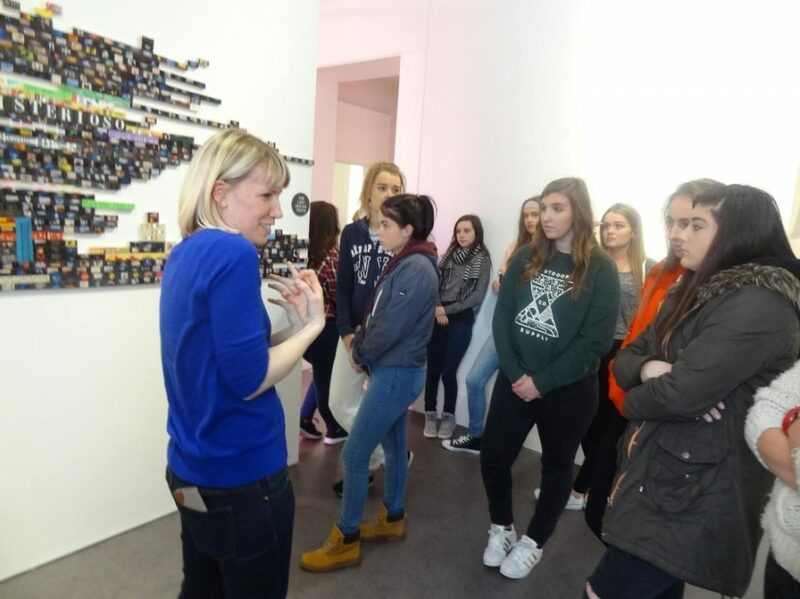 These include ;teaching(national, secondary, third level), design, ceramics, architecture, fashion, creative media, animation, exhibition/gallery curator, art therapy, interior design, technology and print, landscape gardening, product design, stylist, art director film, art director magazine. We are very lucky in Our Lady of Lourdes to be able to avail of the expertise and teaching provided by Rosie O Gorman (past pupil) and Frank Abruzzese from the Cow House Art Studio, Ballybawn, Rathnure. 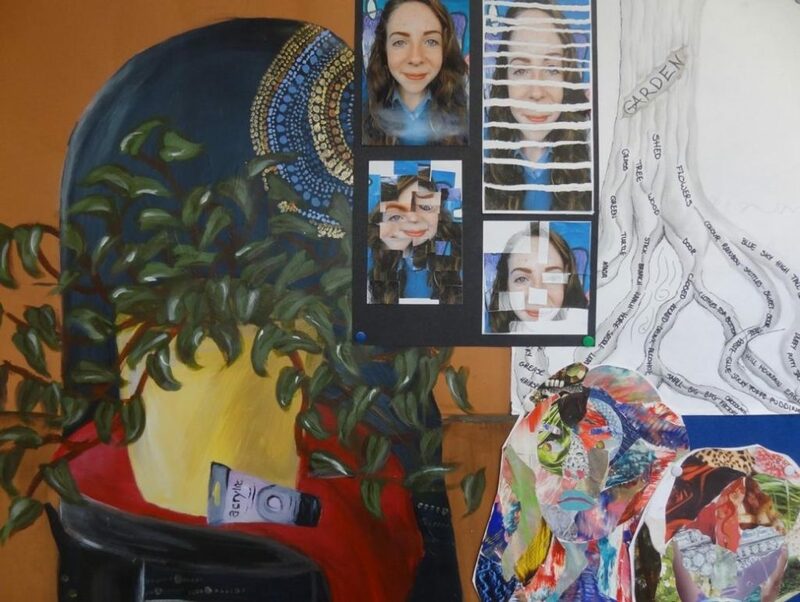 Recognised as a valuable artistic and cultural hub in the area Rosie and Franks teaching focuses on cross-cultural learning and creative exchange. 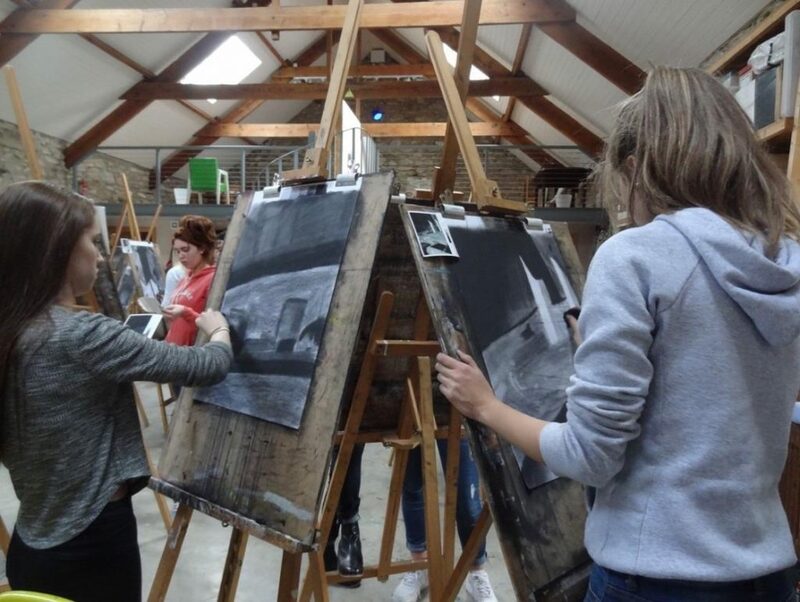 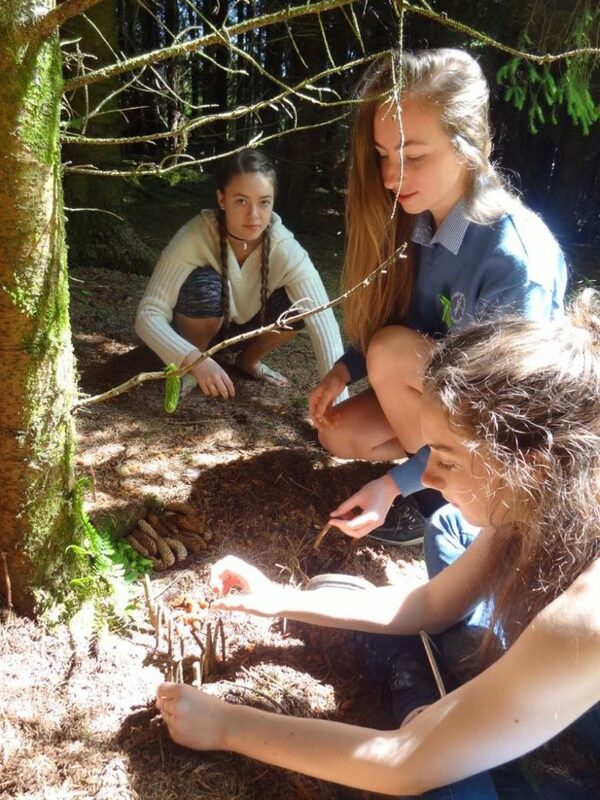 Each year Transition Year and Second Year art students leave the classroom to visit the 250 year old working farm where they get to explore the surroundings and create. 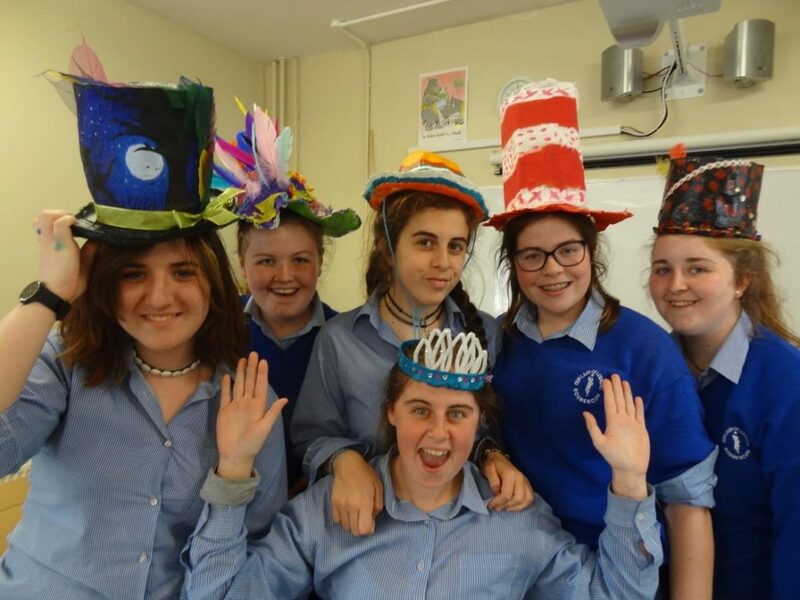 In May fifth years meet up with students and teachers from the Agnes Irwin High School Philadelphia to interact, share experiences and make art! 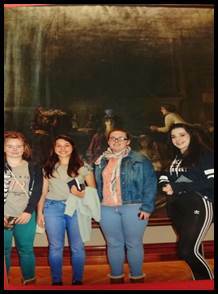 This unique and much valued experience introduces our students to how art is created and taught in another culture. 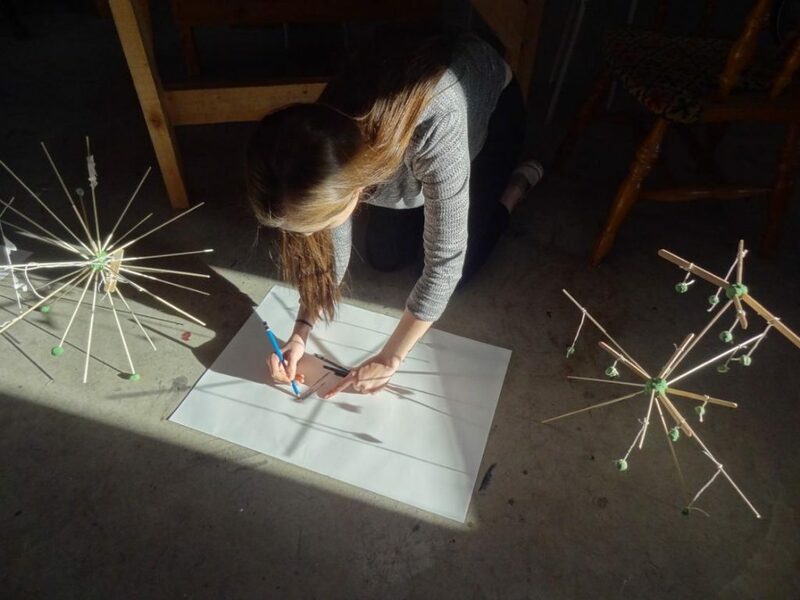 “Art builds students capacity for critical thinking, self-directed learning and problem solving. 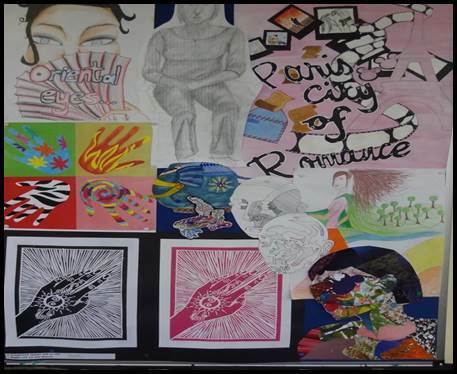 Art helps students to understand cultures beyond their own.